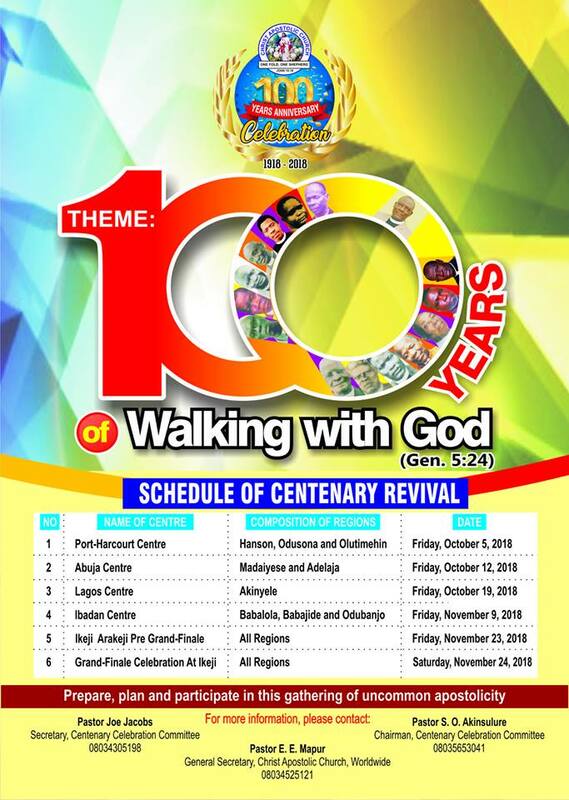 Christ Apostolic Church, Oke Alafia, Oniyo Districts Coordinating Council (DCC) headquarters has unveiled her plan to hold Divine Connection 2018. 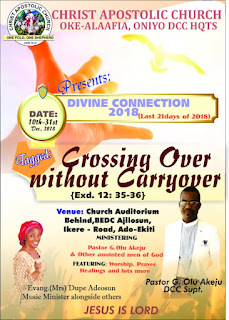 "Divine Connection" is an annual 21days programme which is the initiative of her DCC Superintendent, Pastor Olu Akeju. The programme will hold from Monday December 10 to Monday December 31, 2018 by 5pm daily. 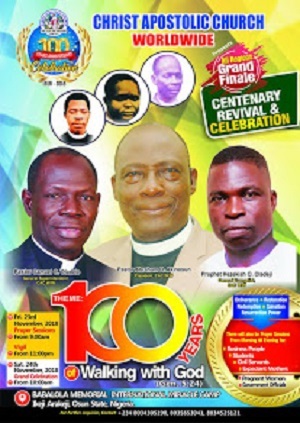 Pastor Akeju told CAC NEWS that God started the programme through him while he was a Pastor at CAC Adegboyega Lagos in 1996. He added that it was done likewise when he was in Ode Aye, Ogudu Zone and Modakeke DCC, adding that he started it last year at his new station, Oniyo DCC. 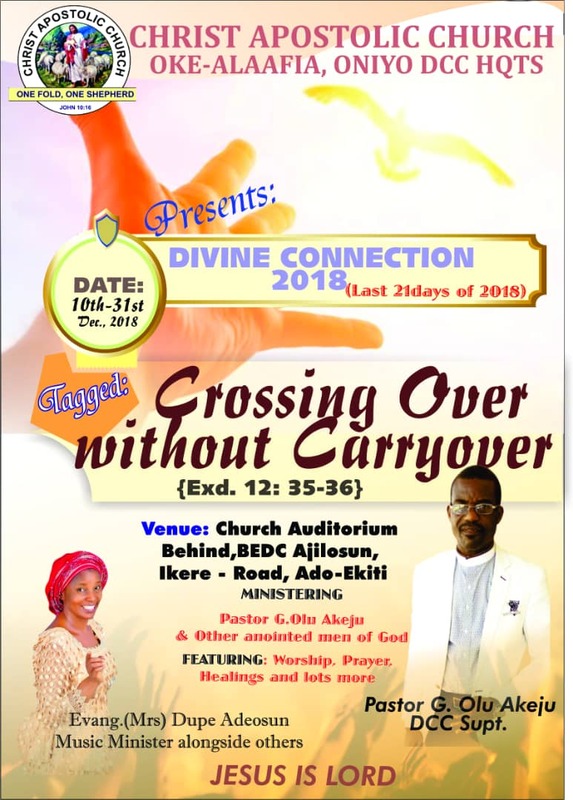 While commenting on the theme of the programme which is "Crossing Over Without Carryover", Pastor Akeju stated that; "as we are crossing over to 2019, there is a need to receive all the promises for 2018. Just as God instructed Moses to tell the Israelites to ask from the Egyptians all that they needed in Exodus chapter 12, verses 35-36."